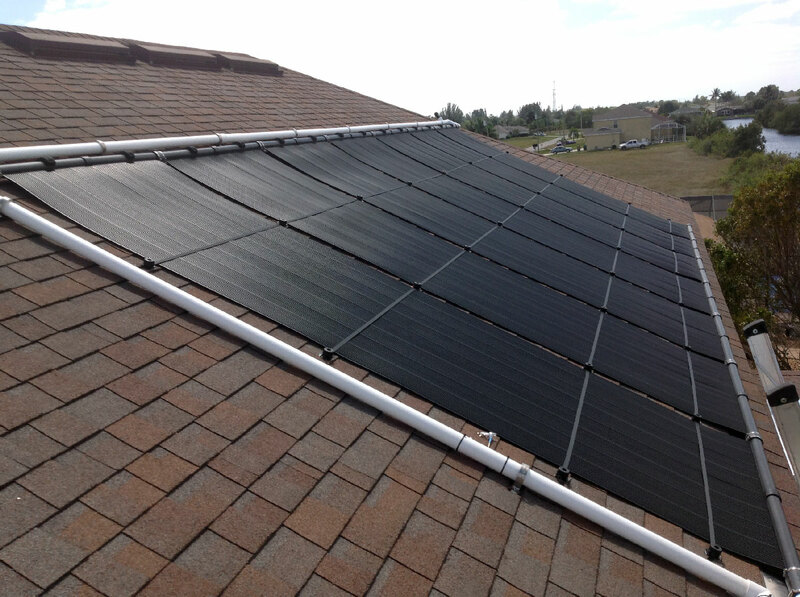 Sometimes we are asked if a solar pool heater can be installed on a two-story roof. The answer is usually yes, as long as the pump horsepower is sufficient, or a booster pump is added or the existing pump is replaced. In most cases, a two-story installation is not much more complex than a single story job. 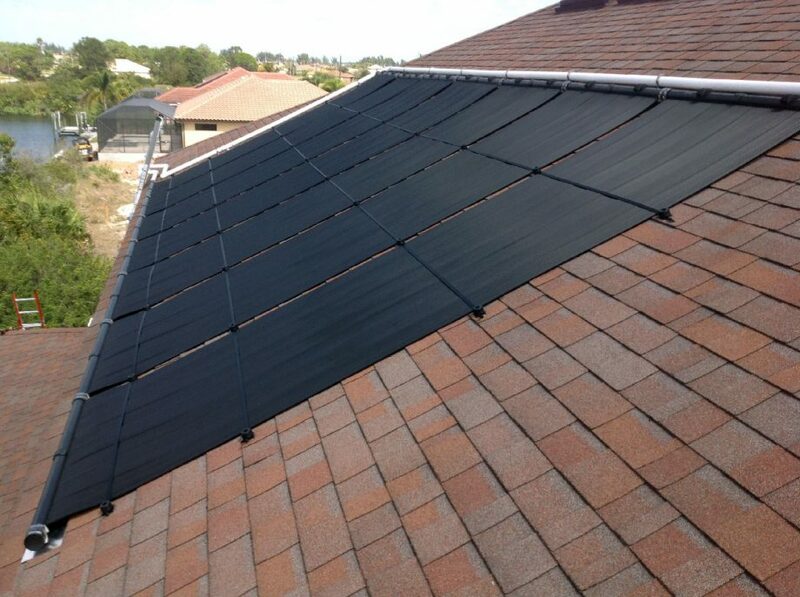 Pictured below is a recent installation on a two-story roof in Cape Coral, FL. I bet there are places where the neighbors are just freaking out about how this looks on the roof. I would easily choose something like this as it would save a lot of money.